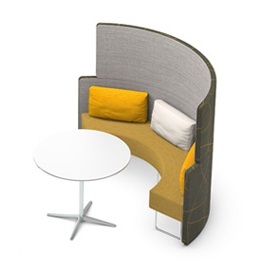 Two upholstered Soft Wall elements enclosing a radius of 220 cm when placed facing each other, height 141 cm. 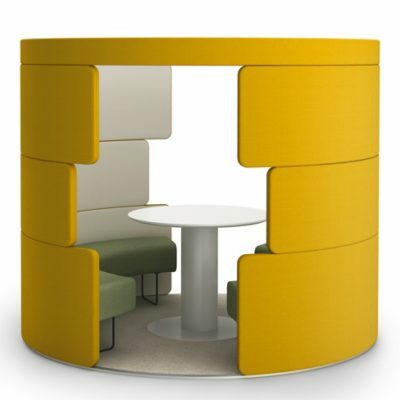 The Soft Wall elements form a single unit with the curved Toguna Benches. No floor, no ceiling. 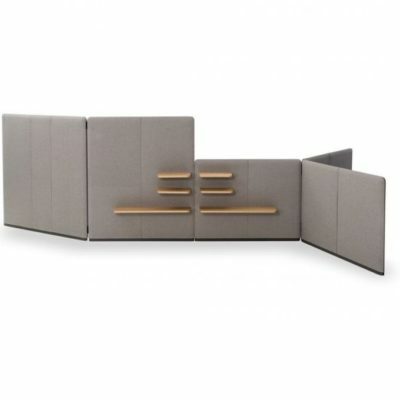 The elements can also be set up individually, forming a more open spatial setting. 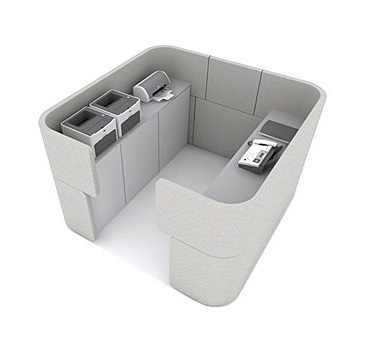 The Toguna Circle Small thus provides a great deal of flexibility in both design and use. For informal meetings, workshops and relaxed discussions.The interior fittings can be freely selected: cushions, stools and tables.